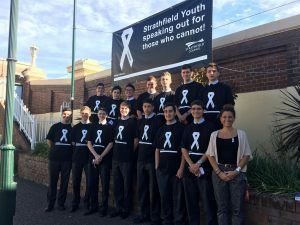 Last week, the Year 12 cohort of 2017, joined together with schools in the surrounding Strathfield area to say NO to domestic violence against women. Together they handed out pamphlets, cards and white ribbons raising awareness about this important issue. 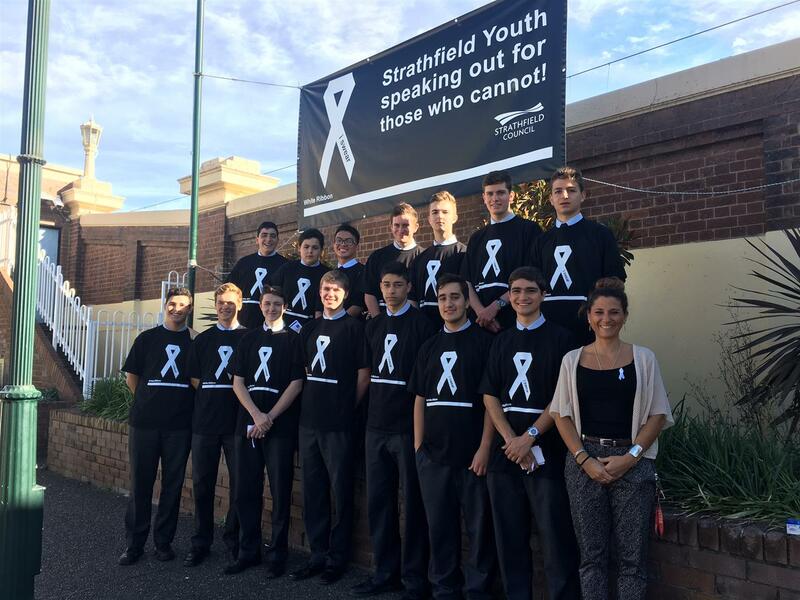 As men of SPC we support White Ribbon Day and the end of domestic violence, striving to assure all victims can see that there is a way out. Thank you to all members of our community who supported the cause, the affect may not be seen clearly, but by wearing the white ribbon we show the world that domestic violence is wrong. Say NO to domestic violence today!